Sir Readalot's Castle - Enter the Kingdom of Books! 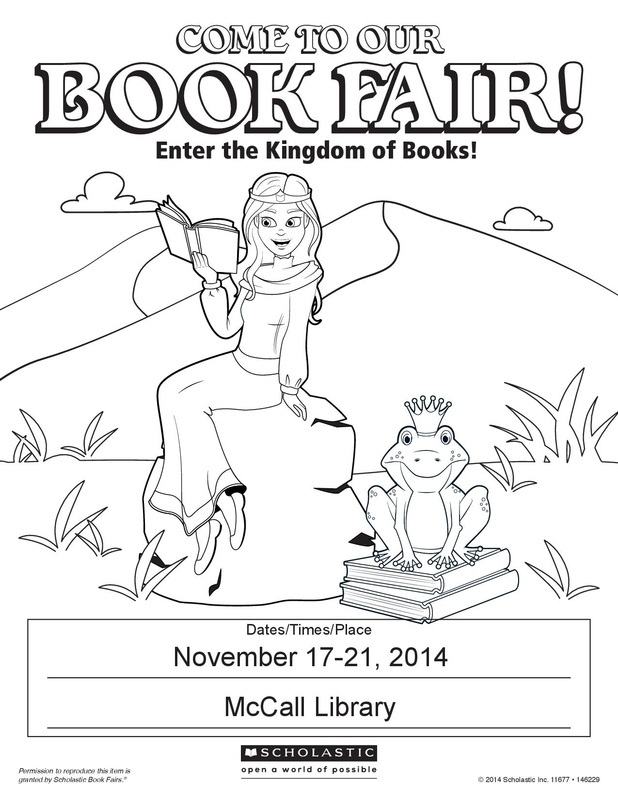 We are VERY excited about our upcoming 2014 Fall Book Fair on November 17-21, 2014. Once again, an amazing selection of books is headed our way! Mark your calendar and join in the fun!!! It is a great opportunity for students to find books that really interest them. We know kids read more books when they get to choose their own. The more kids read, the more their reading skills improve. Don't miss the chance to light up a young reader's face with a good book! Our in-school Book Fair begins on November 17th, but you can begin your book shopping starting on November 7th at the McCall Online Book Fair. Visit the McCall Book Fair home page and click on the Shop Now button. Online shopping is available until November 27th.